We are a martial arts academy, specializing in Muay Thai/kickboxing, Jiu Jitsu and MMA. 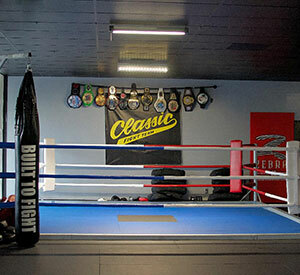 In the fighting world, Classic Fight Team is known for their technical aggression and pressure style fighting. In the community, we are recognized as a family oriented, team driven, goal reaching establishment. Whether you are looking to become the next champion of the world, learn how to defend yourself, or just get in better shape, we are here to help you. Our instructors are different because not only have they been training martial arts for several years, but they are all battle tested competition fighters who understand the amount of time and dedication it takes to improve not only themselves but the people around them. All of our instructors are outgoing and willing to help.  Nobody will ever feel overlooked at Classic Fight Team. Our mission is to build resilience, self-discipline, and confidence to practitioners. Not only do we want to make world champions, but we also want to make this a place where everyone can come to get away from the stress that everyday life can bring. We believe that martial arts can truly better the mind and body of anyone willing to participate. 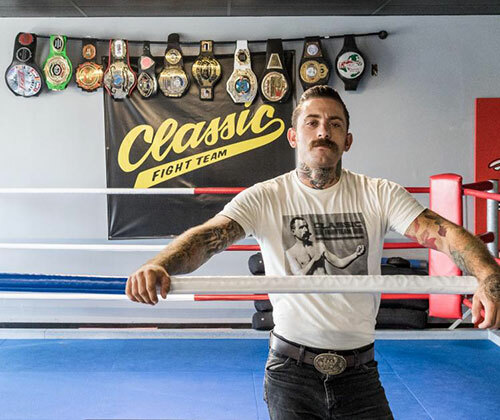 Tyler Wombles, our head coach, has been training kickboxing/Muay Thai for seventeen years. He was the California State kickboxing champion and an undefeated MMA fighter. Tyler has trained some of the best fighters in the world who fight in the UFC, Bellator, and Glory. 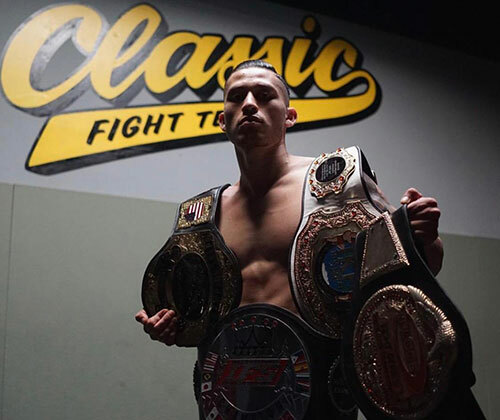 Some of the athletes Tyler has coached include Bellator kickboxing champion Raymond Daniels, UFC athletes Ashlee Evans-Smith, Andre Fili, Sage Northcutt, Tony Ferguson, Cody Garbrandt, Cain Carrizosa, and Glory kickboxing veteran Andre Walker. Tyler is a black belt in the Brazilian Muay Thai/Vale Tudo system under MMA legend, Babalu Sobral. Diego Paez started his Muay Thai journey at just 15 years of age. He had his first fight at only 19 years old. He ended his amateur career by going undefeated with a perfect 10-0 record. He is currently the Xplode Fight Series 140 pound champion, MTU 135 pound champion, IFS 140 pound champion, and the IKF State 137 pound champion, currently holding 4 professional belts. He started his professional career around the end of 2017 and currently holds a winning record of 3-1-1. Diego plans to further his career in Muay Thai and continue to grow in his professional skills. 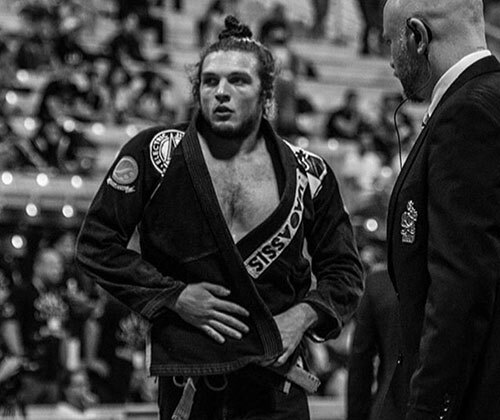 Sid Skrob, our BJJ Coach has been training Brazilian Jiu Jitsu since 2011 and has been a black belt under Joe Moreira since 2018. He has been a multiple-time national champion in the gi and no-gi as well. For Sid, Jiu Jitsu is more than just a job or career, it is his passion and love. You can definitely see his experience and love for Jiu Jitsu after joining or even watching one of his classes.